1. Take pictures early! You’ll look your most poised at the beginning of the night, before you’ve danced out your hair and sweated off your makeup! 2. 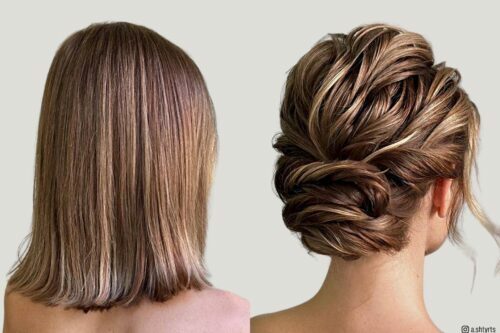 “Prom dresses are less traditional, so your hair should be the same – no need to feel obligated to the traditional up-do. 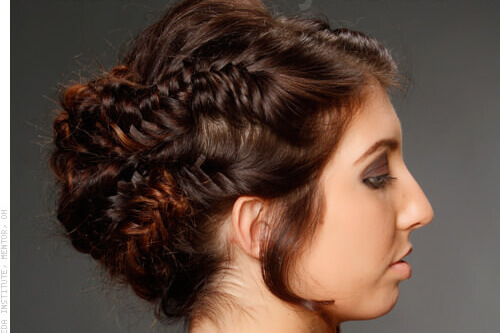 Explore the possibilities by adding braids (a few or many), colors, cutting or adding extensions to your locks. Have fun, explore hair magazines and websites to create your own style,” says Latoya Stuckey of Slique Hair Studio in Harlem, New York. 3. 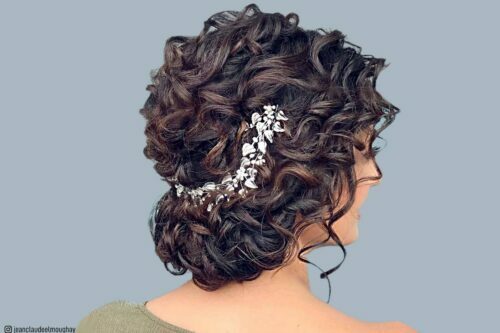 “If you wear a dress with lots of sparkle on it, you should wear your prom hair very simple. 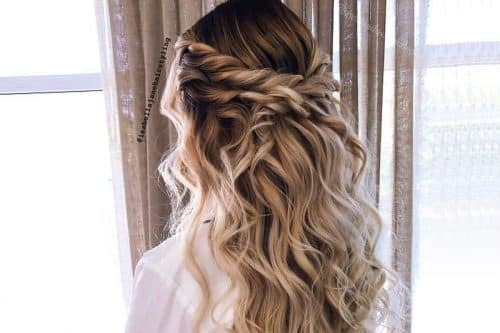 If you wear simple promdress, then go for a more elaborate hair style, maybe adding some hair jewelry,” says celebrity hairstylist Nelson Vercher. He knows — he has worked with; Jennifer Lopez, Kelly Rowland, Olivia Palermo, Kim Kardashian, Britney Spears, and they know a lot about sparkle! 4. 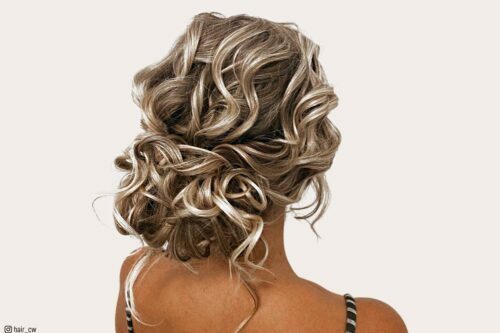 “Comb your curls to get a more natural wave. Stay away from curling irons. Looks wet slicked hair could be combed into any style!” says Samira Eid, stylist at Cristophe Beverly Hills salon.